Police have announced they detained two so-called "Stalkers" in Prypiat, a ghost town, after they had infiltrated the Chornobyl nuclear power station's Exclusion Zone with the aim of enjoying "extreme tourism" on New Year's Eve. "A 24-year-old male resident of Lviv region and a 33-year-old female resident of Zhytomyr region were apprehended. They told police they wanted to greet the New Year in a strange atmosphere, and so they violated the law," the press center of Kyiv region's National Police said on Wednesday. 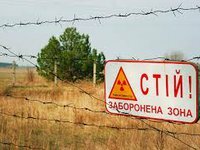 The pair were issued administrative fines under Article 46-1 (violation of requirements of the radiation safety regime in areas affected by radioactive contamination) of Ukraine's Code of Administrative Offenses. They face penalties of 20 to 30 non-taxable minimum incomes (from UAH 340 to 510 UAH). The case was sent to Kyiv region's Slavutych City Court for adjudication. "Police discovered and detained 196 stalkers in the Chornobyl Exclusion Zone in 2018," the police press service said. The term stalker originated in Arkady and Boris Strugatsky's 1971 science fiction novel, Roadside Picnic, in which alien invaders have left dangerous artifacts in areas known as Zones. The stalkers infiltrate these highly-regulated Zones to steal and sell the objects on the black market. The story was later adapted into Andrey Tarkovsky's film, Stalker.